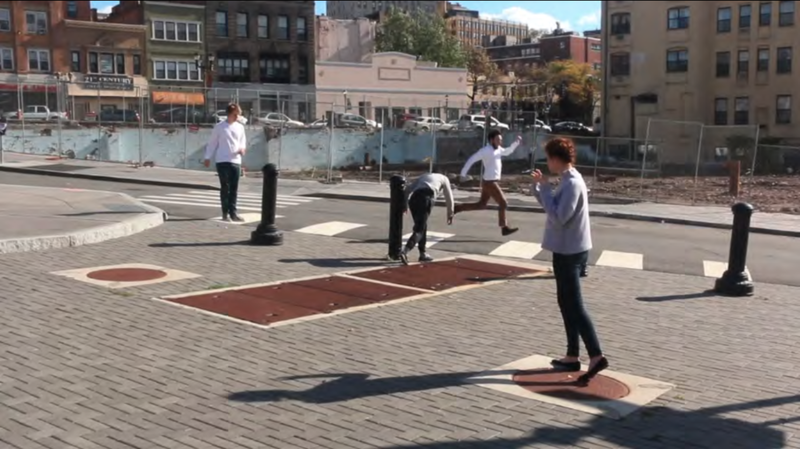 In collaboration with students of Sarah Lawrence College’s Theatre Outreach Program, this site-specific dance film series explores the sociopolitical relationship of the ‘site-visited’ and the ‘visitor’ in relation to the historic locations of Yonkers. Through combination of choreographed and everyday movement, the piece provided a platform for conversations of cultural ownership within the local community. “The making of this video connects the energy and creativity of Sarah Lawrence students to the aliveness and vibrancy and to the rich cultural diversity of Yonkers. 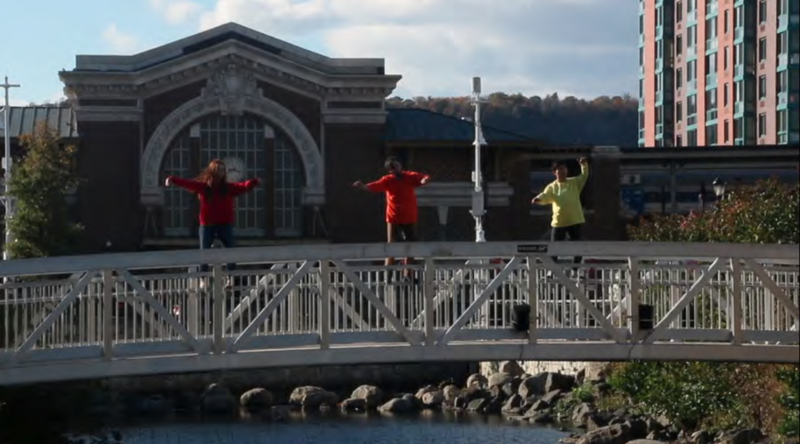 The spectacular natural and architectural beauty of Van der Donck Park, the surrounding historic Yonkers Downtown and the Waterfront District serve as a counterpoint to the pedestrian movement of the performers. To the many who work in the area, and to the many who call this unique, beautiful and special environment home, Theatre Outreach extends our sincere gratitude for allowing us into your neighborhoods, your parks and your public spaces to make this video.